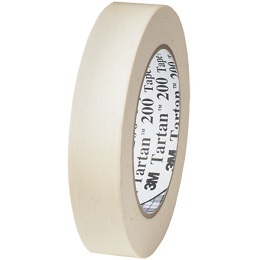 3M 200 Masking Tape is a utility purpose paper tape used for holding and bundling applications. Hand tearable, and resists slivering. Endured temperatures up to 200° F. for 30 minutes. Some products on this page may not be available. Please call for more infomation.